--Betty Smith (1896-1972) American author. 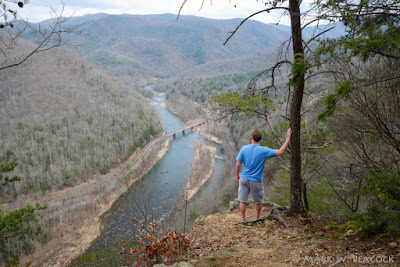 Above: My friend Tim takes in this view of the Nolichucky River from the Appalachian Trail for the first time. For a description of the hike and directions, click here. 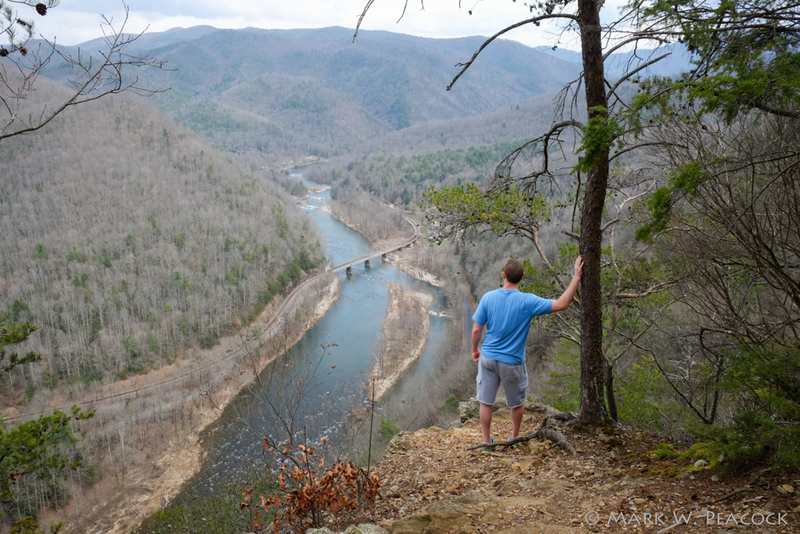 The Nolichucky is a tributary of the French Broad River and flows 115 miles from western North Carolina through east Tennessee. The name, Nolichucky, is a bit unclear. Some say the name derived from a Cherokee village that once stood near today's Jonesborough, TN the name of which meant "spruce pine place." Local lore says it derives from an Indian word meaning "Rushing Water(s)", "Dangerous Water(s)", or "Black Swirling Water." As you can probably guess, today it is a popular whitewater rafting destination. The railroad bridge you see in the photo was built way back in 1907.